* Are you struggling to create a clear and compelling presentation to captivate your audience? * Are you missing the impact, influence, and income you truly desire? * Are you losing out on recognition and new leads and sales opportunities? Now is the perfect time for you to learn how to utilize speaking to reach more people and have the level of impact you truly desire. When you speak more, you will influence more people in a positive way and quickly reach your business goals and desires. Every successful business professional knows speaking is one of the MUST HAVE skills you need to be SUCCESSFUL on every level from impact to income. * Essential speaker strategies that will help you present to create clarity, confidence, and conversions. * Discover how to deliver a presentation that keeps attention, maintains your credibility and compels your audience to take action. * How to maintain self-confidence, increase your recognition and project the right image when speaking. * Eliminate the common presentation challenges that take away your power every time you speak. 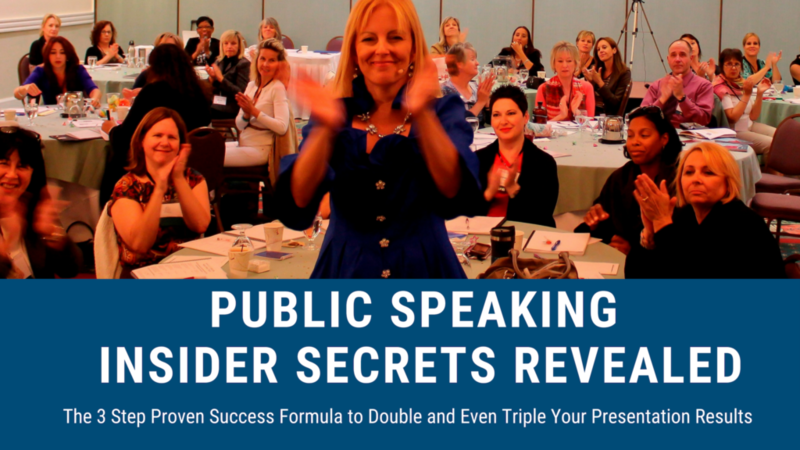 This very special public speaker training by AmondaRose is exactly what you have been looking for. I hope you are excited to get the help that you need because AmondaRose, Speaking Success Strategist, Award-Winning Speaker Trainer, Presentation Coach, and Best-Selling Author, will deliver. Bring your business cards for networking with amazing people!